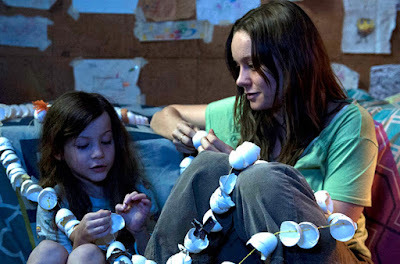 When I first saw the movie trailer, it showed a young woman and a long-hair child living in a small room. I couldn’t understand who they are and why they are living there. So even if it stimulated my curiosity, I thought it would be a boring movie, but I decided to watch it anyway. At my surprise, I found the movie very interesting. Although the story is simple and contains few characters and events, it’s very deep and full of emotions and describes the relationship mother-son in a wonderful and unprecedented way. That’s why, I decided to read the original book to live the experience from the author perspective and understand more what she wants to express. 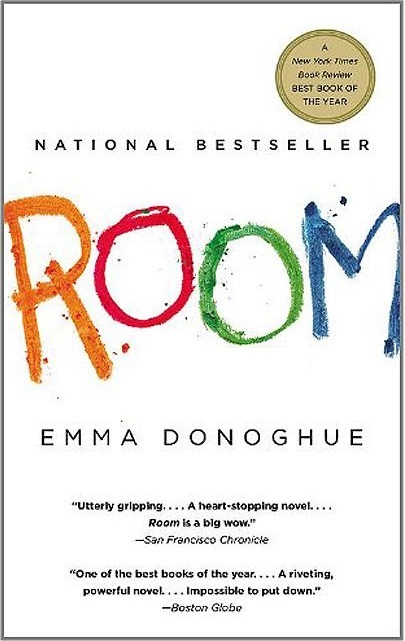 The book tells the story of a young woman and her son enclosed in a room without windows. The only thing they can see of the outside is the sky through a small skylight in the ceiling. 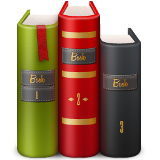 The story is narrated by the little boy who is five years old, and it’s divided into two main parts. The first part describes in details their life inside the room, the environment where they live, their routine, their habits, their feelings and their relationship. The second part focuses on their life outside the room, how they interact with people, how they adapt with the new world and how they deal with the new challenges. In this book, the space seems to get wider and time becomes eternity in that small room. For Jack, Room is not like any other room, it’s a big planet where everything has a name, a life, a meaning, a role and a place. He considers Room as Home and he is attached to everything in it. I'm really impressed of the capacity of the author to create a story for every little thing in that room. The relationship between the little boy and his mother is unique. It seems like a tale from an imaginary world, but the feelings inside are very deep and realistic. When I started reading the book, I felt a little bored at the beginning, but once I got deeper in the story, I became attached to the two characters; I loved their relationship, their complicity, and their attachment to each other. And although I sympathized with their situation, but I liked the way they live and feel. Especially in the first part, it was hard for me to choose between reading fast to know how they will get out of Room, and reading slowly to enjoy every moment between these two people. This book taught me a lot about education and changed my perception of things. It made me realize that children can be happy with little and simple things, they don’t always need new clothes, new games, new activities, what they really need is love, care and trust. These things make them hope, fight and survive. Our children need us to play with them, to sing with them, to create games and activities together based on simple things, and sometimes they just need to sit in our laps or to lie next to each other and stare at the ceiling. They need to feel loved and safe; they just want to be with us. The story is heartbreakingly beautiful and sweet, especially because it’s told from the perspective of a little boy. Although the way he describes things is naïve, simple and innocent, but it’s still logic and deeply emotional. Jack is like any other child, he is sometimes wise, sometimes annoying, but what’s special about him is the way he understands his mother, the way he trusts her and gives her excuses, the way he deals with her moments of depression and the way he respects sometimes her need for privacy even in this small room. Another thing I really liked about this book is that the author didn’t choose to make Ma a heroic character. On the contrary, she considered her as a normal mother trying to protect her child, she is not perfect, she makes mistakes, she feels tired and depressed sometimes; she is human after all. Below some extracts that express these points. "Ma who lies but doesn't lie, she’s not mean but sometimes she does mean things." "I don’t have a bath on my own, I just get dressed. There’s hours and hours, hundreds of them. Ma gets up to pee but no talking, with her face all blank. I already put a glass of water beside Bed but she just gets back under Duvet. I hate when she’s Gone, but I like that I get to watch TV all day. I put it on really quiet at first and make it a bit louder at a time. Too much TV might turn me into a zombie but Ma’s like a zombie today and she’s not watching even." "I tell all the things it’s OK because Ma will be back tomorrow. I read the five books all myself only just bits of Alice. Mostly I just sit. I don’t do Scream because of disturbing Ma. I think it’s probably OK to skip one day." "Yeah, but I thought he was going to punish us too." I try to imagine. "Like if there were two Rooms, if he put me in one and you in the other one." "Jack, you’re wonderful." "Why I’m wonderful?" "I don’t know," says Ma, "that’s just the way you popped out." The book focused a lot on the volatility of values. During the Room period, Ma did her best to teach her son good values; she forbade him to watch more than a show on TV, she made him brush his teeth after each meal, she ate the rest of his meals because otherwise it would be a waste, she told him not to lie, she made him go to bed early, etc. But once they are outside the Room, she’s changed completely. Instead of maintaining these values and habits, she started ignoring them and lost interest in applying them, even when Jack reminded her, which makes the latter very confused. This shows how we, humans, can sometimes easily change our values depending on situations and constraints. This attitude if taken lightly could have a very harmful effect on our children’s perception of morals. When Ma was inside Room, she was longing for freedom, for coming back to her home, her family and her old life, and she was sure she would be happy again if she escapes. As for Jack, he already felt free based on his own perception, and satisfied with the little things he has in Room. He never lived outside, so doesn’t belong to it and doesn’t feel a need to leave Room, he even felt frustrated because Ma insisted to escape. When they come out, both had difficulties to adapt to the new world, but it seemed as if Jack was more able to do that. Even shocked with the large amount of new information he has to deal with, he easily got used to it, he became ready to learn and discover new things, and he was even trying to enjoy the new world. Ma, on the contrary, was the one who struggled to recover, she couldn’t handle all the changes that had happened in her world, and couldn’t face the new challenges, she felt sadder than Room even if she wouldn’t want to come back to it. "Ma sings me songs but there’s no more of them anymore. She smashed my head on the table in Room Number Seven. She took the bad medicine, I think she was too tired to play anymore, she was in a hurry to get to Heaven so she didn’t wait, why she didn’t wait for me? " "When I was four I thought everything in TV was just TV, then I was five and Ma unlied about lots of it being pictures of real and Outside being totally real. Now I’m in Outside but it turns out lots of it isn’t real at all." "In Room me and Ma had time for everything. I guess the time gets spread very thin like butter over all the world, the roads and houses and playgrounds and stores, so there’s only a little smear of time on each place, then everyone has to hurry on to the next bit.Also everywhere I’m looking at kids, adults mostly don’t seem to like them, not even the parents do. They call the kids gorgeous and so cute, they make the kids do the thing all over again so they can take a photo, but they don’t want to actually play with them, they’d rather drink coffee talking to other adults. Sometimes there’s a small kid crying and the Ma of it doesn’t even hear." Like any movie inspired from a book, there are many differences between « Room » the movie and « Room » the book. Some of these differences are presented in the table below. Jack starts asking questions about people in the TV, and "Ma" was obliged to explain to him that what the TV shows is real and exists outside the Room. When Jack is five, "Ma" decides to tell him about the world outside the Room. Jack’s curiosity and endless questions remind "Ma" of her old life and give her hope to come back to it. "Ma" has always been thinking about escaping, she has just been waiting for her child to grow up so that he can help her escape. The evasion plan was inspired from a discussion with Jack. The evasion plan was the idea of "Ma". "Ma" and Jack stay at the hospital a long period. Most events happen there. "Ma" and Jack don’t stay a long time at the hospital. Most events happen in Grandma’s house. Jack decides to cut his hair suddenly. Jack decides to cut his hair and sent it to his mother at the hospital to help her overcome her illness. "Ma" and Jack decide to have their own house. "Ma" and Jack stay in Grandma’s house. "Ma" still breastfeeds Jack at the age of 5. Despite the differences between the book and the movie, I give them both the same rating 4/5 even if the reason for each is not the same. When I read reviews about the book in goodreads.com, many people didn’t like it, first because it’s narrated by a 5-year old boy and second because the whole first part was inside the Room, which they considered simplistic and boring at the same time. Personally, even if I found the way of simplifying things, as perceived by Jack, too exaggerated sometimes, but most of times, it was funny, emotional and realistic. Moreover, I think the author is a genius because she could create a whole world in a tiny room based only on two characters and few objects, it demands wide imagination, a remarkable sense of detail and high sensitivity. The second part outside the room was less successful for me because it breaks the spell of the first part, it describes situations from normal life, situations that every little child actually faces. 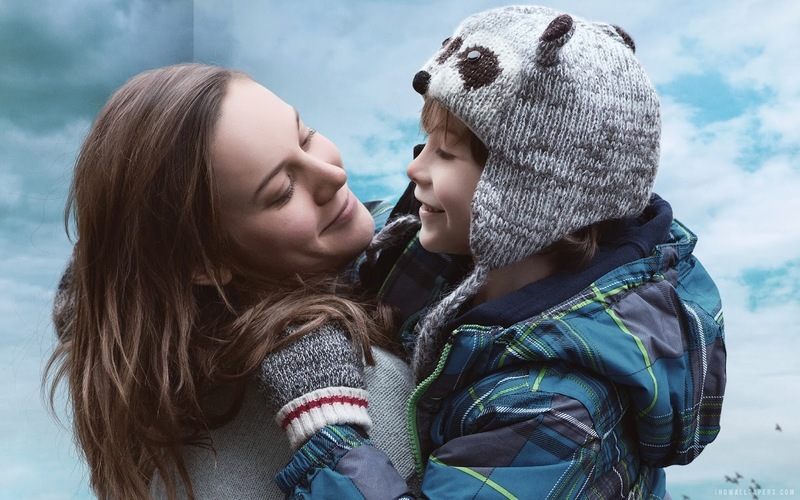 In the movie, the pace of events was fast, especially in the first part, which didn’t give the opportunity to understand the deep relationship mother-son and the transition between Room and Outside. However, some modifications decided by the author were good to the movie, such as the scene where Jack cut his hair and sent it to his mother to give her strength, and the fact not to focus on breastfeeding, because otherwise it would have been somehow shocking.